Bangalore-based travel group, Muddie Trails is organising a camping and hiking trip to Hampi from Hyderabad, during the month of March. Stay by the Tungabhadra river, visit the famous temples and forts, camp in tents, hike on boulder hillocks and dip in Sanapur Lake with other travellers on this exciting trip. It is sure to be a fun, socialising and adventurous experience. So, book your tickets now! 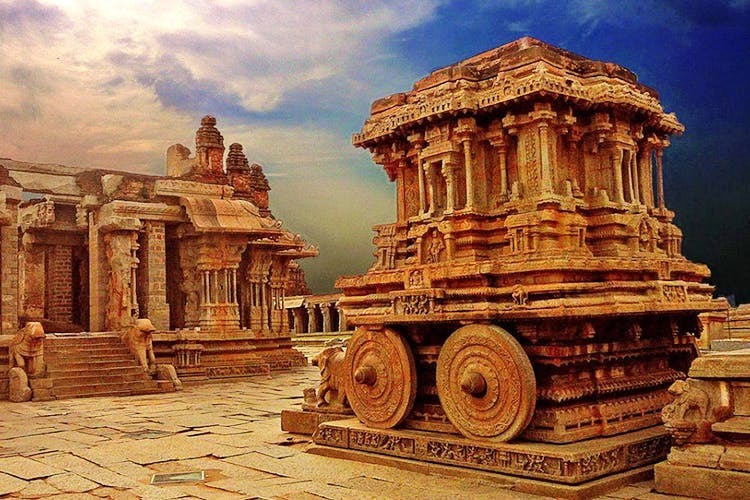 Hampi is known for its rich history and glorious ruins. Culture Vultures, don't miss it! At INR 4,199 — your travel, accommodation and entry fees for all the historical places are covered. The travel is via a tempo or mini-bus, and miscellaneous expenses are not included. Only a few meals are offered, the rest have to be bought. You shall be added to a WhatsApp group after registration and updated on the pickup points, and things to carry.